This weeks TSG challenge is brought to us by our Trendsetter of the week, Danielle! She has challenged us to make a card or project either with leaves on it. 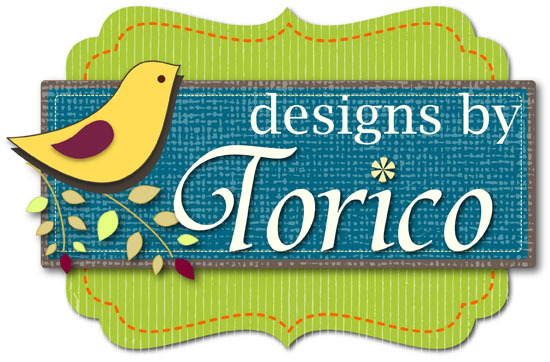 I used one of our newest stamp sets, Give Thanks for my focal point. The leaves were stamped in Pumpkin Spice ink (Versa Magic) and the acorns were stamped in Aegean Blue ink (Versa Magic). I cut out the acorns and popped them up. The sentiment is from Fabulous set, which was stamped with Rich Cocoa ink (Memento). I dug out an OLD paper pad from Basic Grey's Pyrus line. I thought these patterned papers would work well for today's theme. 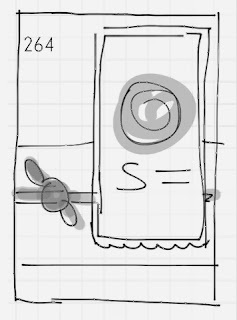 I followed the FTL264 sketch for my layout. Head on over to the TSG blog for more info about the challenge and more inspiration from the other Trendsetters! I hope you will play along with us this week. I found these cute chocolates at a store and thought I would give these to my classmates of the English conversation school as Halloween gifts. To add more fun, I made some wrappers for them using No Tricks Only Treats set (TSG) and Trick or Treat set (PTI). These are for my classmates. And these are for my teacher and his children. I'd like to enter these projects to this weeks Simon Says Wednesday Challenge - Halloween or Halloween Colors. It's the final day of this month's TSG Blog Hop Challenges. Today we are showing you a fun and cute stamp set called "Snowman Soup". This set from Chaitali is perfect for all sorts of holiday gift giving needs, from bag toppers, to mini cards, or whatever else you need…with 25 images to chose from, there is something for everyone! Snowman Soup is a 4x8 set that includes a total of 25 stamps and will sell for $18.00. First I created the snowy hills using a In the Meadow die (PTI) and some Soft Pool ink (Hero Arts). Then I stamped a small snowman and a tree repeatedly. I colored the images with Copics and also used a few gel ink pens to decorate the trees. After I stamped the sentiment in Red Magic ink (Versa Magic), I added some Frosted Lace stitckles to the hills. 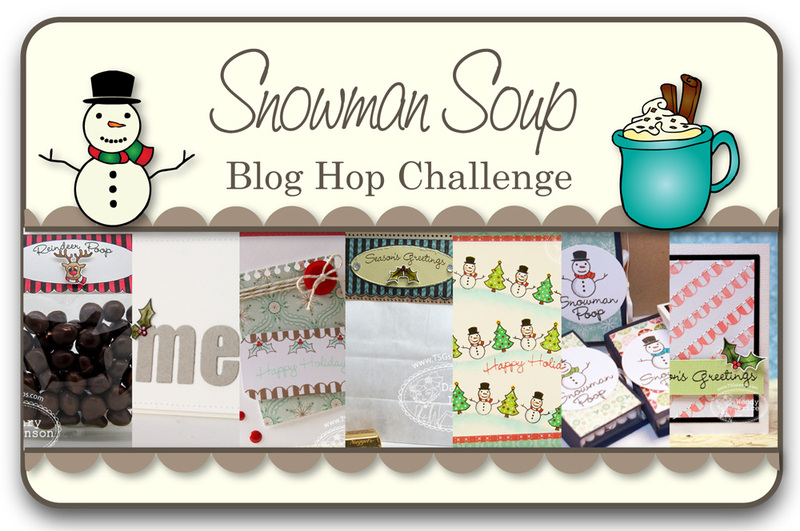 Would you like to win the new Snowman Soup set? You will not know which blog has been chosen so the more you comment on the better your chances are of winning new stamps! The Blog Hop Challenges will be open until 5 PM Eastern Time Saturday, October 26th with the winner being announced during the release party chat. We love our animal stamps here at There She Goes, and we love it even more when you can dress up your animals for the holidays!! Who doesn't like putting antlers on a pug, anyway?! Pugalicious is a 4x6 set that includes a total of 25 stamps and will sell for $15.00. It will be available for purchase on Saturday, October 26th. I made a quite clean and simple card for today. I separated a sentiment from the set ("Wishing you a merry pug-mas") into three, stamped only the "merry" part onto a die-cut talk bubble, then popped it up. The pug was dressed up with a party hat and a bow tie that are from Numbered Days set. I have one more card to share - used a solid pug image for the "pug" part of the sentiment. 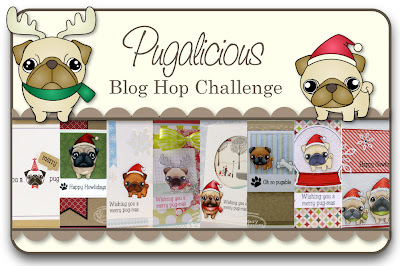 Would you like to win the new Pugalicious stamp set? You will not know which blog has been chosen so the more you comment on the better your chances are of winning new stamps! The Blog Hop Challenges will be open until 5 PM EasternTime Saturday, October 26th with the winner being announced during the release party chat.